Professional Course 'Fresh Pasta' Basic theoretical and practical course for aspiring pasta makers and chefs. 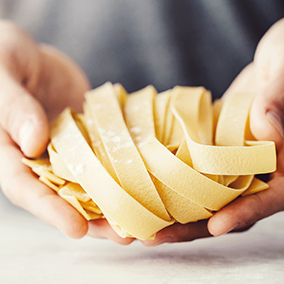 Pasta courses for aspiring pasta makers and cooks. Professional Course 'Fresh Pasta' - Basic theoretical and practical course for aspiring pasta makers and chefs. Basic theoretical and practical course for aspiring pasta makers and chefs. For information and registration, please contact the e-mail address info@primo-piatto.it or the telephone number (+39) 0185 350206. Partecipants: The courses are planned for a maximum of 12 official participants. Teachers: The teachers of the course are all professionals with a long experience in the field. at the end of the course, the certificate of attendance to the ‘Pasta fresca’ professional course will be issued. The courses will take place in Italian and in foreign languages. 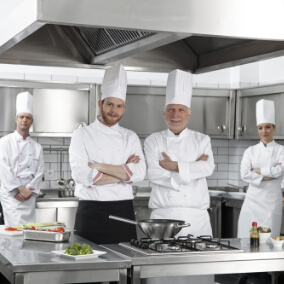 Advanced theoretical and practical course for restaurant professionals. © 2017, 2019 - ITALGI S.r.l. - V.A.T. : 01079960991 - C.F. : 01596160182 - R.E.A. : GE - 360111 - Soc. Cap. : Euro 118,000.00 e.v.